The Piphers, Gary and Barb, Celebrate 57 Years of Marriage! We Celebrate What They Have Done For Shuffleboard. I was trying to think how to begin the CELEBRATORY ARTICLE with regard to Barb and Gary’s Wedding Anniversary. I wanted to convey to the readership the significance of their contribution to Shuffleboard, which is truly a by-product of their togetherness. (Click on any pic to expand.) Please read this article written by Yours Truly in 2004. P 13 THE TRAVELLING PIPHERS FROM COLDWATER Their actions, launching a Shuffleboard Club, has resulted in Coldwater ON being labelled “The Shuffleboard Capital of Ontario”. WELCOME sign pic was taken on 2018 06 12. Pic of Gary and Barb was taken on June 10th, 2013 while celebrating their 47th Anniversary. 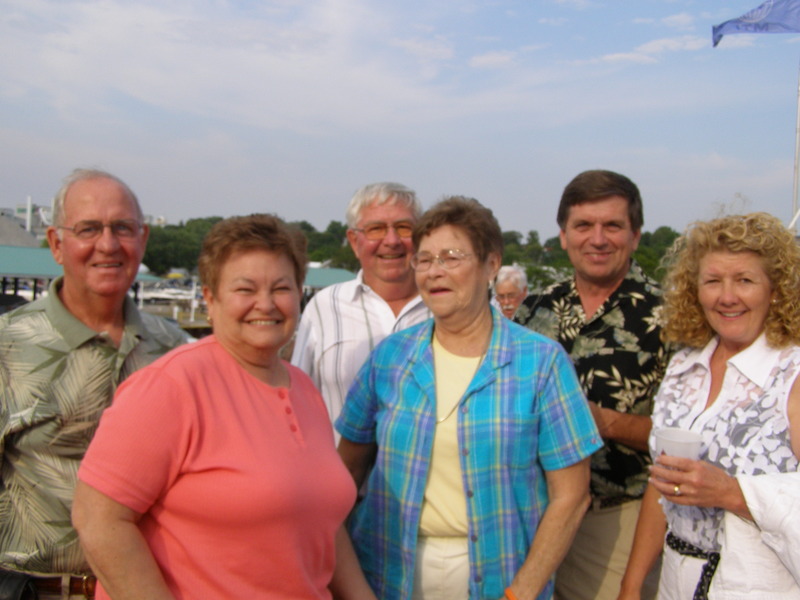 The Shuffleboard Club and the Curling Club were on a shared/combined Cruise. From left to right: Gary, Barb, Ross, and Grace; ALL PIPHERS. Next we have local MPP and his wife Garfield Dunlop. Gary and Barb moved on from their success in Coldwater to wider fields. They hosted two ISA Events; Gary became the CNSA President, all with the support of Barb. Barb’s significant contribution to the CNSA was recognized by her Induction into the CNSA Hall of Fame by Lois McCormack. HAPPY 57th ANNIVERSARY BARB AND GARY. Lois Speaks: It gives me great pleasure to Nominate Barb Pipher, my friend, to the CNSA Special Awards Category of the CNSA Hall of Fame. 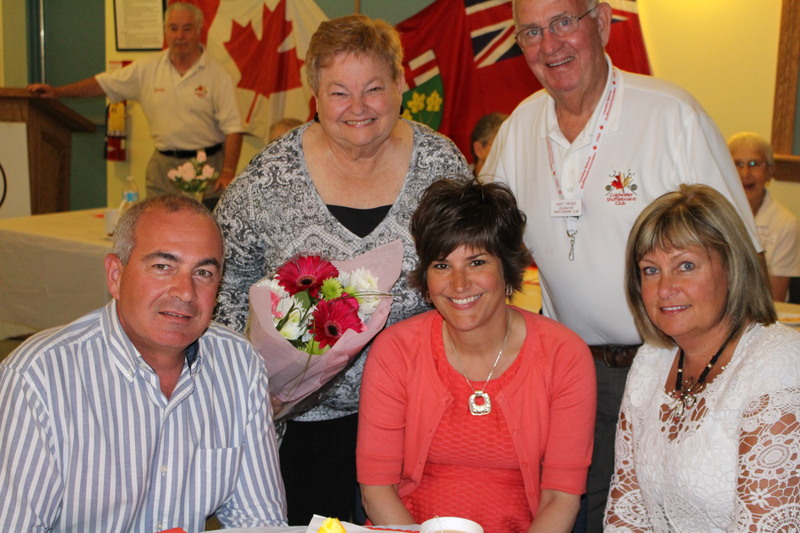 Barb and Gary have been supporters of CNSA Shuffleboard for many years. I first met Barb at a tournament in Chatham Ontario in the mid-1990s. I remember her infectious smile to this day; it radiated warmth; it sent a warm welcome to all who greeted her. Barb and Gary became very interested in this sport, so much so that they decided with the help of Ross and Grace, to start looking into launching shuffleboard in this very facility. After extensive planning and much travel, extra work and building sufficient outside interest, the deal was sealed, and out came the paint cans, the discs and the cues. And, at every step along the route, Barb seemed to be everywhere at just the right time! Be it making coffee, making sure there was a cookie or two waiting, or arranging lunch from the local restaurant, we could count on Barb. 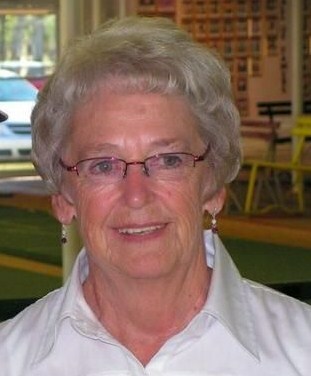 Barb has been Treasurer of the Coldwater Shuffleboard Club and worked tirelessly helping with the CNSA tournaments, and the past few years, assisting the tournament director at these functions. Barb and Gary travel to and support all the CNSA and OSA Summer tournaments. When they are wintering in Florida, Canadian shuffleboard is always front and center, new ideas on how and what to do for the upcoming CNSA events. Barb has been actively involved in organizing and helping with this CNSA tournament once again. Presentation on May 27th, 2014 by Lois McCormack. 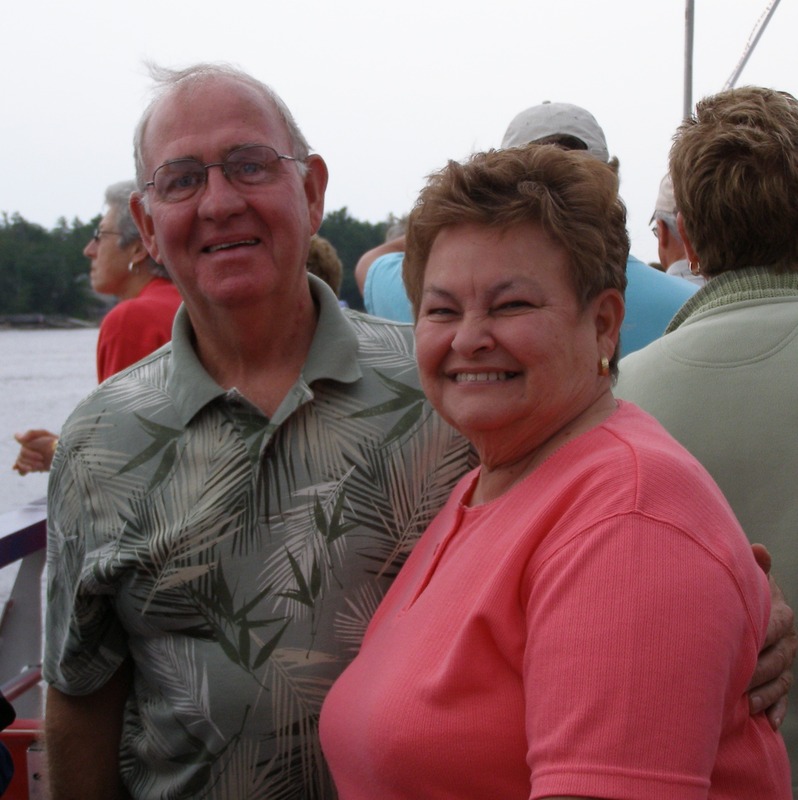 4 Responses to The Piphers, Gary and Barb, Celebrate 57 Years of Marriage! We Celebrate What They Have Done For Shuffleboard. “57 years of marriage” has been good to you. Blessings for good health to enjoy many more anniversaries. Congratulations to The Traveling Piphers on their 57 years of wedded bliss!! And many thanks to you both for your work in promoting our game!